In the wee hours of the morning, we began the CTD casts along our first transect and continued to sample throughout the night until the late morning when it was time to retrieve a mooring. 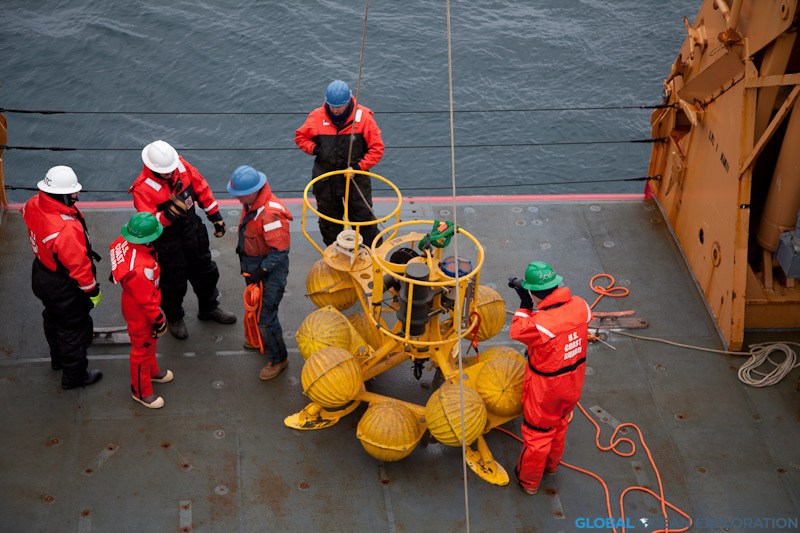 The mooring had been deployed last year in order to record salinity, temperature and a variety of other physical parameters of the water. 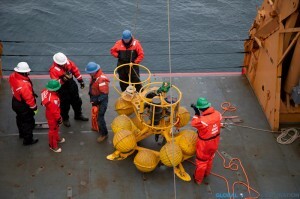 The scientists are excited to retrieve their instruments and find out what has happened in the year since its deployment. It is kind of a cloudy and cold day with snow dusting the decks but we still are experiencing calm seas. 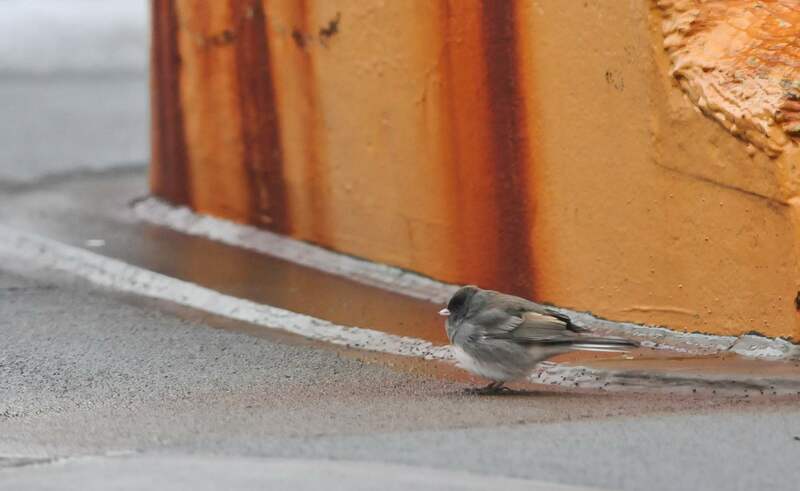 There have been quite a few birds surrounding the ship including a songbird, a slate-colored junco, a subspecies of the dark-eyed junco, that must have lost its way from its home in the arboreal forest. One of my favorite things about being at sea is discovering these little creatures seeking refuge on the ship after they have lost their way. 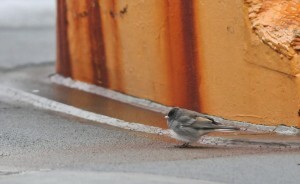 This little guy hung out on the boat for a while before hopefully heading south out of the Arctic. They are not often spotted this far north so he had certainly lost his way.